Amandeep Drall of Chandigarh will debut as a professional in the upcoming Hero Women’s Indian Open from 23-25 October at the DLF Golf & Country Club, Gurgaon. Amandeep, who currently holds the second position on the Hero Order of Merit, has already won twice and finished runner up five times on the domestic tour since she turned professional at the beginning of the year. With the Hero Women’s Indian Open approaching, the promising rookie is gearing herself up for the biggest challenge of her short but already very impressive career. Two wins, five runner-up finishes in your rookie year on the Hero Women’s Professional Golf Tour. Did you see that coming? Yes, I did expect some really good finishes because I was pretty confident about my game. Hard work, gave me the desired results. I will never be satisfied as I need to keep improving in order to compete at higher levels. Lots of amateurs, world-over, take a while to get settled among the professional ranks. What are your recommendations to the upcoming aspirants of professional golf for a smooth transition? According to me, golf is mainly played between the ears and it’s all about the hard work you put in. You just need to give your best and not succumb to pressure. You should be passionate and fully committed to your job. Did you get any help from senior pros on the Tour? This being my rookie year, I was really pumped up to play against some really good players on our domestic Tour. I have known few of them before joining the Tour. So whenever I need any help, they are supportive. Do you think you have performed better since you became a professional golfer? On a scale of 1-10 rate your game both as a Pro and an Amateur. Tell us why. My game has definitely gotten better after turning professional. As an amateur I would rate myself 8, and 9 as a pro. Therefore, I have been playing much better player as a professional. I am more focused and more committed to my game. I am driven to produce good results and am working hard to excel. 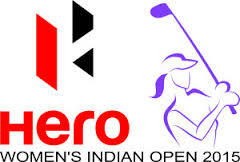 Up next on your golfing calendar, is the Hero Women’s Indian Open. Are you excited to be in the elite field as a pro golfer? Yes, I am very excited to be playing in the Indian Open. It is a big stage, and I will try not to get carried away by the occasion. Preparations are in full swing and although my form currently is good, I am not leaving any stone unturned. I have been following a routine throughout the year which has proved fruitful, so I am following it for the Indian Open as well. Have you set any targets for yourself for this tournament? Definitely, everyone plays to win so I’m going to do the same. But I do not want to put any pressure on myself. I will try and give it my best shot. Do you think you have the mental strength needed for a marquee event like this? A hole-in-one during Round 1 of the 2014 edition of HWIO. Is that your best memory on a golf course till date? I would say it’s one of my best memories till date. My first win as pro, however, would still be my favorite. Lastly, what are your chances of shooting another hole-in-one at this year’s HWIO? Whenever you tee it up on a par 3, there is always a chance. So fingers crossed! The Hero Women’s Indian Open 2015 will be the first ever professional event to be played on the newly constructed Gary Player designed ‘The Black Knight’ 18-hole championship course.